I am obsessed with winter coats! Always have been and most likely always will be! So when this time comes, you’ll find me (way to many times) on my ipad or in stores searching for new coats to add to my collection! So I decided to show you my top 10 choices I have waiting in my online shopping cards. If you are like me, you’ll probably enjoy this post a little too much! The links are below! Also, don’t forget to check out black Friday sale which will be tomorrow! In love with fashion is giving my readers a special opportunity to buy today at tomorrow sale price! So you won’t have to hit the “out of stock” wall! Check it out clicking the picture in the end of the post and use the code for 30% off! Happy shopping and to those celebrating Happy Thanksgiving! Sou obcecada por sobretudos! Sempre fui e muito provavelmente sempre serei! Por isso, quando chega este tempo, encontram-me (demasiadas vezes) no ipad ou nas lojas à procura de mais casacos! Então, pareceu-me bem actualizar-vos com top 10 escolhas que tenho nas minhas cartas de compra. Se são como eu, de certeza que vão adorar! Os links estão em baixo! Ah e não se esqueçam de amanhã aproveitar a “Black Friday”! A In love with fashion está a dar aos meus leitores a oportunidade de comprar já hoje ao preço de amanhã para não terem que dar com o sinal “fora de stock”! Espreitem as promoções clicando na imagem no fim do post e usem o código para terem 30% de desconto! Boas compras e para os que festejam feliz ação de graças! I tell you, with all these fabulous coats you have displayed here,Summer must be so jealous. 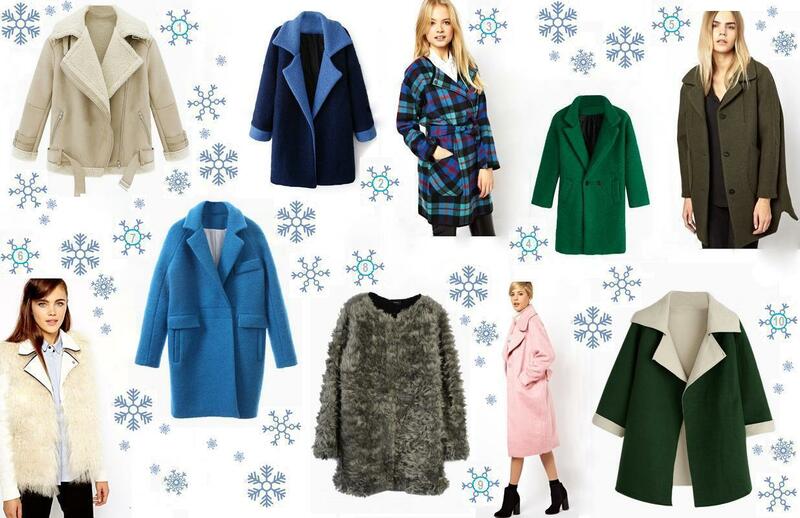 I am obsessed with winter coats as well.I love all these ones here..
what a good selection, want a pink coat! Oh, a lot of lovely products!! My favourite are number 7 and 8!! Great selection, love red coat! great chhoice...Can we follow each other? The coat collection its beautiful. Thank you for visiting my blog following you now by bloglovin follow back thanks. i like Longline Faux Fur Coat In Gray! beautiful!!! Hi dear, your kind words are much appreciated...Have a warm and splendid weekend! Love these beautiful winter coats! oh i love these coats! Love these statement coats and the colors they come in. What a lovely selection of coats! Really good! Nice coats! Love them all! I really wanna have them all! Thanks for your posting! love the first coat !